Part of enabling your business in the digital age of transformation is providing new ways to communicate efficiently and in the most productive way possible. Communication can be the exchange of data, voice or video all to enable integrated digital transformation. Today our networks are integrated with our telephony as is video and we use common platforms for all kinds of communication. The digital world now brings challenges to how we communicate, exchange data and provide secure ways to enable business. Security is now a board level concern as data breaches are targeted criminal activity aimed at generating revenue. Communication is the lifeblood of today’s business environment. We live in a world where data on demand combined with an increasingly mobile workforce has dramatically altered the role of the data network. The shift from north-south to east-west traffic has further influenced network design philosophy, adaptability and usability. PFH entered the networking business with our acquisition of Siemens Enterprise Communications in 2010 and have since built a large and highly skilled networking team with expertise in Brocade, HPE, Cisco, Juniper and Dell technologies. We are acknowledged as Ireland’s leading Brocade networking partner and are uniquely the only Brocade Elite partner in the country. We are also the only HPE Platinum partner in Ireland. 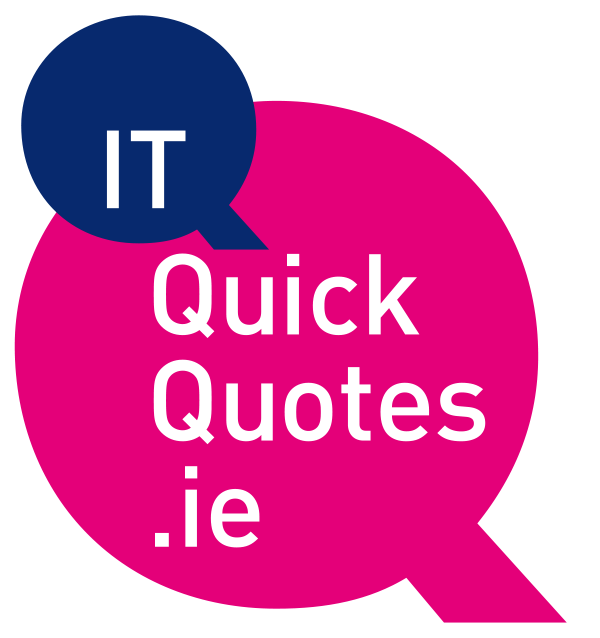 Our extensive skillset incorporates data centre, campus and wireless deign, deployment and support, and we provide end to end networking solutions for many of Ireland’s largest organisations in private and public sectors. As the traditional boundaries of the secure work environment are torn down to enable more agile, independent, service driven demand through digital transformation, this results in a changed landscape and new security challenges. You are faced with the challenge of enabling Digital strategies to drive business while balancing the modern security threat. We provide comprehensive security services that are prescriptive and deliver clear strategies to enable your business deal with modern compliance requirements (such as GDPR) as well as extensive solutions for protecting your User Identities, Apps, Devices and Data. Our value to you is to deliver a customised solution for your environment that is compliant, secure and can also be managed through an expertly structured managed service. To support working in the Digital Age, we need to enable information sharing, while keeping data protected. With increased legislative concerns, awareness of personal data portability and increased data sharing, shadow IT and collaboration, new threats to sensitive data are emerging all the time. Data protection means making sure sensitive business information is tracked, access managed and shared only as appropriate. PFH deliver solutions to meet these objectives. With software such as Microsoft Azure Rights Management Service (RMS), We help you protect your business information wherever it goes by extending the reach of your data usage policies beyond the walls of your business. When you share information, make sure only the person you’ve shared it with can see it by restricting viewing, editing, and forwarding of emails. You can also limit actions to specific groups of people – so only certain people can edit, copy, or print files. With Azure RMS, you can enable information sharing, while keeping data protected. Features include ensuring data protection stays with your files and information, regardless of the location—inside or outside your company. Protecting information sent in email by preventing viewing, editing, and forwarding as well as restricting the editing, copying, and printing files to specific people and groups. Compromised credentials make up 76% of all network intrusions. and prevent access for those who should not. Secure your users with password reset, secured authentication and the reliability of a single management point from PFH. Traditional IT security solutions can provide limited protection against sophisticated cyber-security attacks when user credentials are stolen. Initial set up, creating rules, and fine-tuning are cumbersome and may take years. Every day, you receive several reports full of false positives. Most of the time, you don’t have the resources to review this information and even if you could, you may still not have the answers, since these tools are designed to protect the perimeter, primarily stopping attackers from gaining access. Advanced Threat Analytics helps you identify advanced security attacks before they can cause damage. Once you have defined the rulebook of who can access what, next you can get control of the devices in use throughout company. We provide complete solutions that let employees be productive on the devices and apps they choose, but with greater management and control. Where you need to protect mobile applications, apply consistent rules and policies across the devices and apps used for work—company or employee-owned. Remotely remove corporate data and apps when a device is lost, stolen, or retired from employee use, or even enforce such policies as preventing “copy-and-paste” from company apps into personal ones, then with a managed service from PFH leveraging Microsoft cloud technologies can deliver. We provide complete solutions such as Microsoft Intune to help you can get control over the PCs and devices in your organisation, whether they are personal or company-issued. You get simple cloud-based management of PCs, mobile devices, and applications, so your employees can have flexibility and choice, while you get peace of mind that your organisation is protected. When you consider the multiple points of entry to your corporate network in the modern digital age, securing those points as well as the environment itself form internal threats has become a very important part of your security strategy. At PFH we have a comprehensive suite of tools such Firewall (perimeter and application layer) and Intrusion Detection solutions, as well as intelligent security response systems to deal with modern threats such as Ransonware. We not only design and implement, but can provide complete management of the environment with our managed firewall service. PFH can seamlessly add Voice over Internet Protocol (VoIP), web collaboration, video conferencing, mobility, advanced messaging and more to your existing infrastructure, business processes and productivity. We will work with you to develop and deliver solutions which are robust, scalable and easy to deploy in your organisation. PFH offer a comprehensive voice solution anywhere that an IP network goes. It is fully integrated with a complete unified communications solution. PFH helps to streamline communications so that you will be able to talk with other members of your workforce and with your customers in the right location and you can do so in real time. As a stand-alone voice application or integrated with other unified communications applications, PFH combines carrier-grade reliability, security, massive scalability and flexible on-premise or cloud deployment with the features your organisation needs. Proven cost savings: reduce voice communication TCO up to 25% and voice traffic cost by IP-LCR up to 50%. Unify is one of the world’s largest communications, software and services firms, formerly known as Siemens Enterprise Communications. Unify’s solutions are based on open architecture allowing them to be platform agnostic and lend themselves to the integration of multiple network, devices and application into one easy to use platform. This encourages team communication and collaboration which amplifies collective effort, speeds up business processes and allows for better customer service and retention. Born out of the engineering DNA of Siemens, Unify builds on this heritage of product reliability, innovation, open standards, and security to provide integrated communications solutions for 75% of the Global 500. Unify is a joint venture between The Gores Group and Siemens AG. PFH are Ireland largest Partner and are the only triple master (highest available) Partner in Ireland with only three achieving this level of certification in UK and Ireland region. Direct escalation route to Unify. Skype for Business is communication suite from Microsoft. Skype for Business allows you makes calls, hold meetings, message people or groups, and screen and document share, all from within one application. It works on nearly all devices (see below) and allows you to transfer calls between these devices too. Skype for Business can reside on-premises, as a cloud service (no on-premises server) or a combination of both called hybrid. A live video conference is much more effective than a phone call in many different situations. The ability to be in several places at once without leaving your office is the next frontier and driving business productivity. Video communication creates and maintains competitive advantage for businesses. We work with our partners to enable us to bring the best solution to our customers. Our experts at PFH will help guide you through the variety of solutions available in the market and help choose the one most relevant for your business. Video-enabled communications means you can connect effortlessly to your customers, partners and workforce anywhere, anytime. We make it simple for your organisation; we take a different approach so that you can enjoy a solution which is simple, accessible and affordable. By integrating video with existing unified communications systems (UC), OpenScape Video is significantly easier to adopt compared with competitive offerings and brings a full UC feature set all in a single application. Video from our partners embeds multi-party videoconferencing within the OpenScape UC application. We can ensure that with 'desktop client' you can participate in point-to-point or multi-party video conferencing with a simple mouse click. With PFH, video conferencing is as simple as a phone call. Make, receive, and transfer business calls in the office, at home, or on the road, using phone, PC, and mobile without the need for a traditional phone system. Choose PSTN calling plans delivered by Microsoft where available, or use existing phone lines at your locations. Microsoft have just announced PSTN calling for Ireland and PFH have been nominated as the premier launch partner for Skype for Business in Ireland. Hold Audio, HD video, and web conferencing over the internet. Host a meeting with up to 250 people over a phone line or internet connection. Broadcast to up to 10,000 people with Skype Meeting Broadcast. Connect with other Skype for Business users via instant message, voice calls, and video calls, and let people know your availability with your online status. Share presence, IM, and audio calling with Skype users. You can connect with users in other companies by way of Federation Services. Skype for Business can integrate with Exchange on-prem or Exchange Online and update your status based on you schedule if desired. Join meetings and calls from Windows PC, iPhones, Macs, Android devices, iPads, Windows Tablets, and even Linux/ Unix computers. Share your screen or presentation to one or may meeting participants. Cut the cost of calls. Skype for Business customers can benefit by switching to Skype and choosing a call bundle suited to your business. Integrate with Dynamics 365 and Office 365 and avail of “click-to-call” and presence availability from within the Dynamics applications. IM and calendaring information is also fully integrated with Office 365. Make and receive calls with Cloud PBX without the need for expensive equipment. All Skype for Business calls, video conferences, screen shares, document transfers are fully encrypted. Data is encrypted in transit, at rest either in the cloud or on-premises (via BitLocker) and on the client device. Microsoft Enterprise Mobility and Security (EMS) may be also be integrated used to help customers meet compliance. For example, user authentication may be further secured via MFA (Multi Factor Authentication), any documents shared inside or outside the organisation documents may be protected by RMS policies thereby encrypting the documents. Documents may also be tracked and access revoked if desired. End user devices may be managed via EMS Intune to ensure standards are met such as device encryption, PIN code strength, disk encryption and devices are not jailbroken. PFH have many years experience and have been involved with Skype for Business since its inception as Office Communicator right up to the current on-premises and cloud version. PFH Engineers are fully certified in Skype for Business and the supporting platforms and identity solutions. PFH are a Microsoft Silver Partner in the communications space. This demonstrates PFH have met the Microsoft requirements with respect to certifications, customer references and Skype Operation Framework (SOF) methodology. Microsoft Ireland have positioned PFH as Irelands EPG High Touch partner for Skype for Business Cloud PBX. PFH will work with Microsoft to Architect and offer best practices for your implementation. The Skype Operations Framework is a methodology developed by Microsoft over a number of years. SOF provides a structured approach to successfully Plan, Deliver, and Operate a Skype for Business solution. PFH offer a managed service around Skype for Business. PFH have relationships and experience across the following areas which can be used to compliment your Skype for Business service. How do you get Skype for Business? Please contact PFH and let us help you decide on how Skype for Business might help your organisation. PFH are happy to provide a live demonstration, workshops, use case scenarios, platform and identity information and introductions to Microsoft.